Taiwan continues to experience a growing demand for imported cars and represents an important market for global automakers Mercedes, BMW and Audi. Buyers in the island nation are spoilt for choice when they want to buy imported cars, albeit through the country’s stringent import regulations. At Japan Car Direct, we make it our mission to offer our customers the opportunity to own some of the finest cars in both left-hand drive (LHD) and right-hand drive (RHD) versions from around the world. Buying cars from Japan and other countries that are members of the World Trade Organization is permitted under Taiwanese law. This makes it logical to import used cars from Japan, where the emphasis is on quality and performance. However, all vehicles that are sold need to comply with Taiwanese manufacturing standards and specifications in order to meet government inspection criteria. This means that the imported car must be compliant to the Euro 4 (EC2005) emission standards, use lead-free fuel, and be over a year but less than ten years in age. Other regulations that cover customers who want to buy imported cars include mandatory LHD vehicles and the installation of speedometers that follow the metric system. Imported cars are also subject to valuation and a special permit from Taiwan’s Board of Foreign Trade if the cost of the vehicle is more than $20,000. Taiwan’s unique shipping, licensing and duty costs help businesses and individuals import used cars from Japan at an affordable fee. Please confirm all of the import procedures and costs with the Taiwanese authorities. Four popular choices on Taiwan’s roads today! 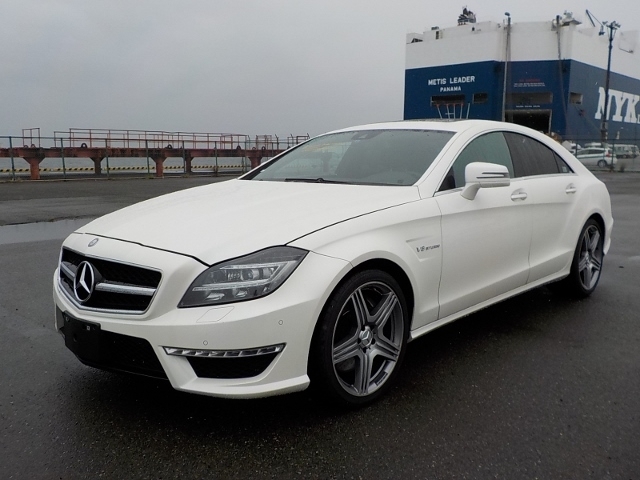 We recommend the Mercedes-Benz CLS63 luxury sports coupé that is powered by a 5.5-liter AMG V8 twin-turbo engine that generates an exhilarating 577 hp @ 5,500 rpm. Launched as a premier sedan with AMG’s sports suspension, automatic crosswind stabilizer, high-performance adaptive braking, and a sophisticated electronic stability and load distribution system, the CLS63 boasts unrivalled responsiveness, racing from 0-60 mph in 3.5 seconds thanks to the combination of a monstrous engine, 7-speed AMG speedshift, and AMG’s patented 4MATIC all-wheel drive system. Designed to turn heads, the CLS63 oozes luxury with LED high-performance headlights, twin chrome tailpipes, genuine Nappa leather seats, and a sleek boot spoiler. 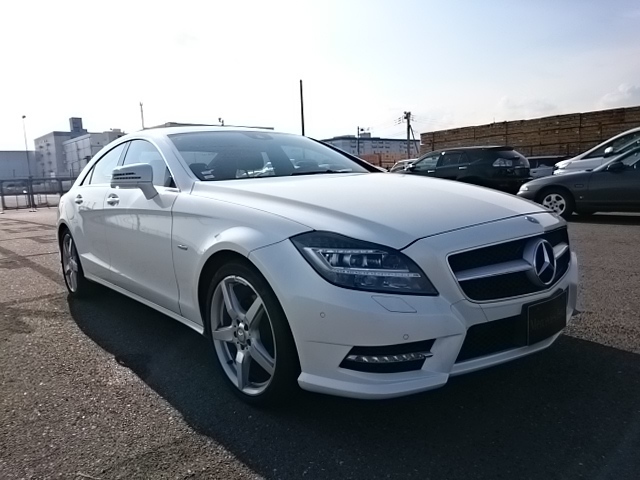 The CLS350, a moderately powered cousin to the CLS63, released in 2012 with coupé and sedan variants that took Japan by storm with a 3.5-liter Mercedes-Benz M272 engine. With a top speed of 155 mph and acceleration from 0-62 in 7 seconds, the CLS350 is no less impressive, offering full LED adaptive headlamps and a custom six-speaker audio system. 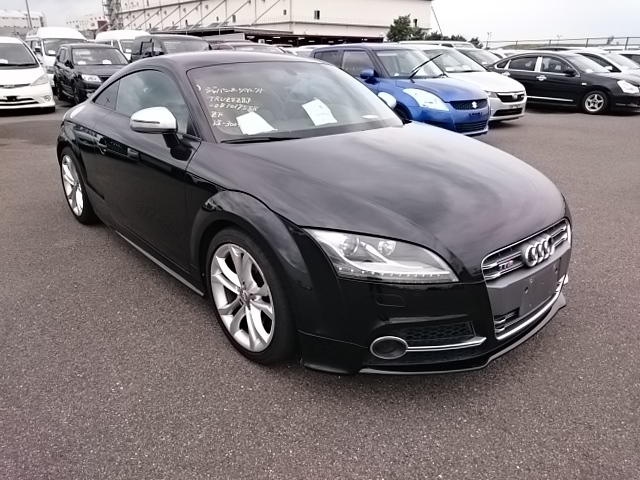 The Audi TTS two-door urban coupé features a modified version of the German carmaker’s signature 2.0 TFSI engine that is an improvement on the 2008 TT Quattro. The car features a modified fuel injection system and redesigned cylinders, features that give the TTS a purring 268 bhp and 258 ft-pounds of turning torque. The TTS is available in six-speed manual transmission or an electronically governed direct-shift gearbox. Audi has also made impressive changes to the car’s styling, adding a larger, menacing front grille, quad exhaust vents and a lower suspension with Audi’s magnetic drive adaptive suspension system. In its class, the TTS is particularly impressive clocking 0-62 mph in 5.4 seconds—enough to take your breath away. The BMW M5 is the reimagining of the company’s wildly successful 5-series sedans. The M5 is one of the most popular sports sedans in the world while remaining one of the quickest on the road. Under the hood, the M5 features a powerful 5.0-liter V10 petrol engine that is controlled by the 7-speed manual sequential gearbox that puts out 500 hp of refined power. Linked with the Mercedes Formula One program for many years, the M5’s performance defies the imagination, going from 0-62 mph in 4.2 seconds in tests. Since 2008, BMW has invested in a small increase in overall length to 4,864 mm, making this one of the larger executive sedans on the road today. Many, really most, actually pretty nearly all of the top end German luxury cars like Benz, AMG, BWM, Alpina, Audi, Porsche and other European luxury cars that we export from Japan are available on the Taiwanese auto market, a premier destination from some of the world’s most admired and envied automobiles. Japan Car Direct is committed to serving an international market. 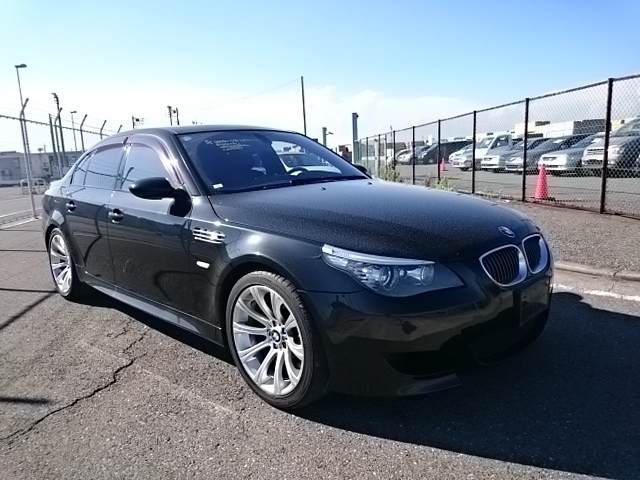 We export many good used BMWs and Alpinas from Japan to Canada, to Taiwan, to Germany and several other global cities, making us the go-to car dealers for premier quality new and used automobiles.